‘Tis the season to crank your thermostat. Unfortunately it could cost even more than normal. Americans will pay 15% more for heating expenses than last year, according to the EIA. At this point you’ve got no excuse not to follow this simple guide for winterizing your home. Problem: Cold air is rushing in from underneath your door, and warm air is rushing out. Solution: The draft snake, adopted during the Great Depression era, is one of the easiest ways to cut back on energy waste. A draft snake can be easily made by rolling up a towel or filling up a pouch of fabric with kitty litter or sand, advises The Daily Green. Or you can buy one pre-made. Money/Energy Saved: According to the U.S. Department of Energy, drafts can waste 5 to 30% of energy use per year. Problem: You suspect your windows are as old as your grandparents and cold air is leaking through the cracks. Solution: Tape bubble-wrap on your windows to trap the pockets of air that cool down your home. Although it may look funny, the bubble-wrap will still allow light to come through and you’ll be saving some major dough, advises Life Hacker. Money/Energy Saved: Taping up bubble-wrap can avoid drafts which waste 5 to 30% of energy usage per year, according to the U.S. Department of Energy. Problem: Little gaps in windows, doors, or cracks in the walls are letting cool air in, raising your energy bill. Solution: The Daily Green offers a test to find out where to seal these gaps: Have a friend stand outside the suspected window/door/wall with a blow dryer while you hold a lit candle inside. If the dryer blows the candle out, then it’s time to seal those cracks using caulk. Also check the caulk around your doors and windows outside to see if they’ve deteriorated over time. Money/Energy Saved: Sealing up drafts will save you to up to 30% of energy use annually, according to the U.S. Department of Energy. Problem: The air in your home feels hot and trapped, but turning on a fan only produces cool air. Solution: If you have any ceiling fans inside your home, know the rules: Counter-clockwise rotation produces cooling breezes and clockwise rotation produces warmer air. Money/Energy Saved: This method will cut your heating costs by 10%, according to The Daily Green. Problem: The cracks in your door are increasing the air flow in and out of your home, letting warm air out and cold air in. Solution: Installing a storm door can seal those drafts and help reduce air flow. Money/Energy Saved: A storm door can increase energy efficiency by 45%, according to The Daily Green. Problem: You want your home warm so you keep the thermostat high, but your wallet is suffering from the high energy bill. Solution: Set your thermostat to 50 or 55 degrees when you go to bed and work. You won’t enjoy the warmer temperature while you’re asleep or away from the house, anyway. You can also purchase a programmable thermostat. Money/Energy Saved: Turning down your thermostat 10 to 15 degrees for eight hours a day can save 10% per year on your energy bill, according to Brighter Planet. Problem: Heat is rising right out of your home, leaving you cold and miserable. Solution: Loading up on insulation is one of the best ways to save your energy bill so add more between your walls, attic floor, and basement ceiling to stay toasty. Money/Energy Saved: An insulated home loses a quarter of its heat through the roof, according to Energy Savers. Problem: You suspect cool air is sneaking through the cracks of your window A/C unit. Solution: During winter, you most likely won’t be using your window A/C unit so remove it from your window or purchase a quality tarp to cover the outside of the unit, says Wisebread. Problem: You have an A/C with a water valve that you suspect has been leaking, which can clog up your water pipes. Solution: Shut off the A/C water valve to prevent excess water from collecting in the equipment. Drain all air conditioning pipes, says The Green Daily. Money/Energy Saved: Doing this during the winter will save you from having to buy a new A/C unit next summer. Problem: You’ve unknowingly kept your water heater on the default setting. Solution: Conventional water heaters are typically set at 140 degrees Fahrenheit, but most households only need a setting of 120 degrees to be comfortable. Check your water heaters and lower them to 120 degrees. Money/Energy Saved: Lowering it by 20 degrees will save about 6 to 10% on your bills, says Energy Savers. After three consecutive months of increases, sales of existing homes slightly declined in August, this despite a reduction in prices and an uptick in sales to first–time buyers, according to the National Association of Realtors®. Also according to NAR, none of the four major regions saw sales increases in August. Total existing–home sales (including single–family homes, townhomes, condominiums and co–ops), dropped 4.8 percent to a seasonally adjusted annual rate of 5.31 million in August from a slight downward revision of 5.58 million in July. Notwithstanding August’s decline, sales have grown year–over–year for 11 consecutive months and now sit 6.2 percent above a year ago (5.00 million). 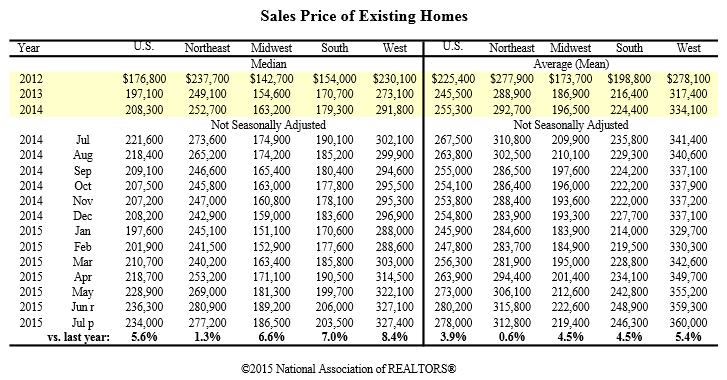 The median existing–home price (for all housing types) in August was $228,700, which is 4.7 percent higher than August 2014 ($218,400). August’s price increase marks the 42nd consecutive month of year–over–year gains. Total housing inventory at the end of August grew 1.3 percent to 2.29 million existing homes, which is 1.7 percent lower than a year ago (2.33 million). Unsold inventory is at a 5.2–month supply at the current sales pace, up from 4.9 months in July. August’s share of sales to first–time buyers grew to 32 percent, up from 28 percent in July and matching the year’s highest share set in May. A year ago, first–time buyers were 29 percent of all buyers. It’s a good idea to take a big picture look at your finances every few months, so if you haven’t done so in a while, now is the perfect time. See where your money is going, how your spending habits may have changed recently and how much you owe in loans or on your credit cards. Once you have an idea of your financial health, create a place to keep your holiday spending money. If you don’t already have a savings account specifically for the holidays, commonly known to some as a “Christmas Club,” create one. It’s much easier to leave money untouched if it isn’t easily accessible. Cut costs and save more. If you just created an account and don’t have any money saved yet, don’t panic. You just took a long look at your finances; did you see where you can cut costs, at least temporarily? Maybe you’ve signed up for one too many monthly memberships over the last year – those can add up. Some movie and music subscription services have an option to “pause” your membership, so you can take a few months off without losing your settings and preferences. For those expenses you can’t eliminate, see if there are options to scale back. Start using coupons at the grocery store, which are easy to find on coupon and deals websites. Look into the service providers you have been with for years, like car insurance. Are you getting the best deal, or are there cheaper alternatives? Use a comparison website to make sure you’re getting the best rate possible. 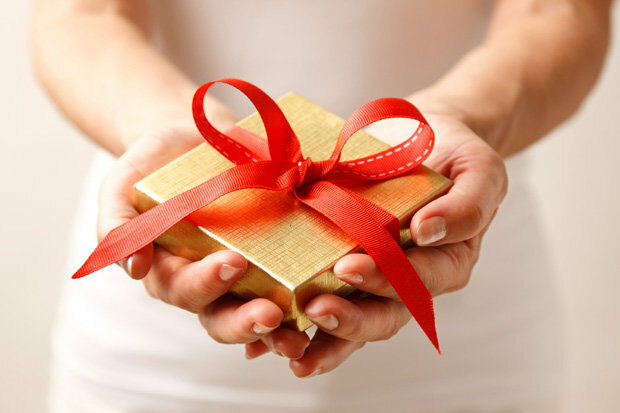 Another way to add some extra padding to your new holiday savings account is to sell your stuff. You’re probably going to get a few new gifts in the coming months, so why not make room? Go through your things and gather the gently used items that you just don’t need. If you haven’t worn something in 12 months, will you really wear it again? Did your kids grow so quickly that they only wore things once or twice? You can get money for good condition furniture, clothes and other odds and ends at consignment shops and garage sales. Then, deposit your earnings into your holiday account. It’s great to go into the holiday season with extra spending money, but that doesn’t mean you’re not at risk to overspend. If you can, look at who you need to buy for and what you spent in the last few years to determine an approximate budget. This will help you keep your spending in check. When you lay out your predicted expenses, go beyond the gifts – don’t forget what you need to spend on entertaining, travel and donations. Last but certainly not least, this is the time to figure out your holiday travel. Don’t wait until the last minute and end up paying a pretty penny for higher fares. CheapAir.com analyzed a year’s worth of data to find out the best time to book airfare, and found that you should purchase your ticket an average of 7 weeks in advance. This is only a guideline, and can vary depending on many factors, but they did advise against buying your airfare too early or too late. An exception might be when you are planning to travel during a busy time like Thanksgiving – it’s safer then to buy plane tickets even earlier. If you haven’t booked yet and you need to fly somewhere for the holidays, now is the time! Freddie Mac reports that the average commitment rate for a conventional, 30-year, fixed-rate mortgage rose to 4.05 percent in July from 3.98 percent in June. This is the first time the rate has been above 4 percent since November 2014 (4.00 percent) and the highest since September 2014 (4.16 percent). Distressed sales fell to the lowest share since NAR began tracking this information in October 2008. Foreclosures and short sales dropped to 7 percent in July from 8 percent in June; a year ago they were at 9 percent. Five percent of July’s sales were foreclosures while 2 percent were short sales. Foreclosures sold for an average discount of 17 percent below market value in July (15 percent in June), while short sales were discounted 12 percent (18 percent in June). According to the National Association of Realtors® (NAR) sales of existing homes grew in July for a third straight month, while first-time home-buyer transactions fell to their lowest level since January, likely due to low inventory levels and rising prices. Total existing-home sales (measuring transactions for single-family homes, townhomes, condominiums and co-ops) grew to 2.0 percent to a seasonally adjusted annual rate of 5.59 million in July, up from a downwardly revised 5.48 million in June. July’s sales kept the briskest pace since February 2007 (5.79 million), and have now increased year-over-year for ten straight months and are 10.3 percent higher than a year ago (5.07 million). 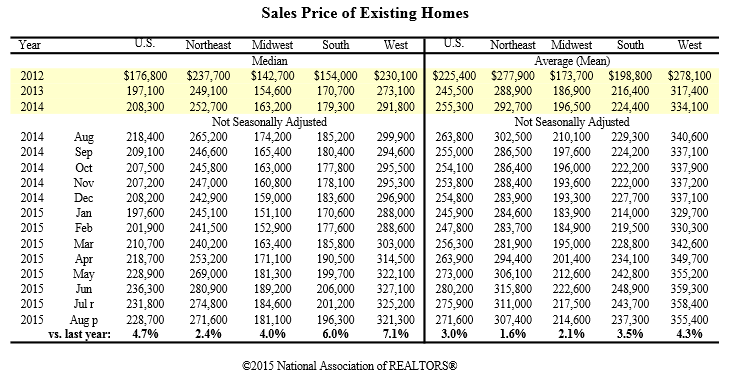 The median existing-home price (all housing types) in July was $234,000, an increase of 5.6 percent over July 2014. July’s price growth marks the 41st consecutive month of year-over-year gains. Total housing inventory by the end of July fell 0.4 percent, to 2.24 million existing homes available for sale, and is now 4.7 percent lower than a year ago (2.35 million). Unsold home inventory sits at a 4.8-month supply at the current sales pace, a decline from 4.9 months in June. The share of first-time buyers fell in July for a second consecutive month, dropping from 30 percent in June to 28 percent. A year ago, first-time buyers represented 29 percent of all buyers. Puzzling out how to keep your house as cool as possible during these hot summer months? Trying to remember the conventional wisdom but not quite sure how it goes? Those window fans, for example, should they be placed to draw air in or out? Upwind or downwind of the dwelling? And what about windows, shades, and awnings? Are windows on the North side of the house better left closed or open during the day? Are awnings better than shades? The recent heat spell on the East Coast dredged these questions up for me, and I am sure these questions are seasonal for many of us. Efficient cooling saves money, energy, and the quality of our lives. Turning to Consumer Guide to Home Energy Savings by Alex Wilson, Jennifer Thorne, and John Morrill of the American Council for an Energy-Efficient Economy has provided a wealth of answers to just these questions and more. I’ve compiled 23 tricks about how to keep a house cool to reduce the need for air conditioning from this book, as well as a few from The Real Goods Solar Living Sourcebook. These tips are really useful. 13. Maintain your air conditioners properly to maximize efficiency. 14. Install white window shades or mini-blinds. Mini-blinds can reduce solar heat gain by 40-50 percent. 15. Close south and west-facing curtains during the day for any window that gets direct sunlight. Keep these windows closed, too. 16. Install awnings on south-facing windows, where there’s insufficient roof overhang to provide shade. 17. Hang tightly woven screens or bamboo shades outside the window during the summer to stop 60 to 80 percent of the sun’s heat from getting to the windows. 19. Consider exotic infills in your windows, a new technology that fills the space between panes with krypton or argon, gasses that have lower conductivity than air, and which boost R-values. 19. Provide shade for your room A/C, or the outside half of your central A/C if at all possible. This will increase the unit’s efficiency by 5 percent to 10 percent. 20. Clean your A/C’s air filter every month during cooling season. Normal dust build-up can reduce air flow by 1 percent per week. 22. Turn off your A/C when you leave for more than an hour. 23. Several studies have found that most central air conditioning systems are oversized by 50 percent or more. The decision to purchase your first home is one of the biggest and best choices you could ever make. After all, a home is the largest – and most emotional – investment most people will face in their lifetime. So, how do you know if it’s the right time for you to buy? A home purchase is an important step that can provide many advantages. Purchasing your own home is a great investment that can deliver several financial benefits – equity build up, value appreciation, automatic savings plan – not to mention a new sense of pride! Start looking at your options today. You don’t have to know everything. Your Keller Williams agent is ready to help you through every step of the process. When you’re looking for a real estate professional to help you, know that above all else, good agents put their clients first. This is your dream, and your agent is your advocate to help you make your dream come true. So you’ve met with your trusted advisors, and now you’re ready to begin your search. But how or where do you start? There are a lot of homes out there, and diving in without a guide can become overwhelming and confusing. Your Keller Williams agent will help you more accurately pinpoint homes that fit your criteria. The right home will meet all your important needs, and as many of your additional wants as possible. Once you’ve found a home you love, the next step is deciding on a price. It’s important to remember that a home is an investment. Your agent can give you information on other properties in the neighborhood to help you ensure you make an informed decision when it comes to price. Look to your agent to explain and guide you through the offer process. List price – Start with the price point that the home is listed at. This will give you a base when looking at the home’s value. Market Analysis – Your agent will give you an idea of comparable home values in the neighborhood to help you decide if the price point is on par. Improvements – Your agent can give you a list of improvements made to the home and help you determine its market value. Your agent will provide you with improvements and challenges within your home. This way you’ll know what you are getting into before you complete the purchase. Keeping in touch with your agent and financial consultant – It’s important to stay in constant communication with your Keller Williams agent and financial guide during this process. Be sure to return all phone calls and complete paperwork promptly. Also, don’t be afraid to ask questions. Your team is there to help you! Congratulations, and welcome home! The home-buying process is complete, which means it’s time for your maintenance plan! 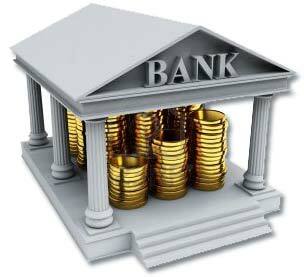 It’s now your responsibility, and in your best financial interest, to protect your investment for years to come. 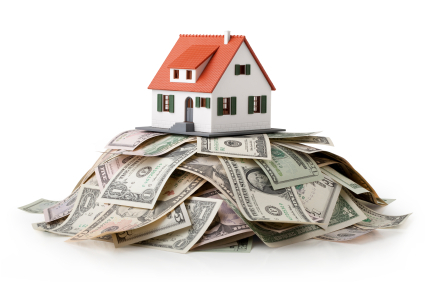 Performing routine maintenance on your home’s systems is always more affordable than having to fix big problems later. Be sure to watch for signs of leaks, damage and wear. And remember, just because the sale is complete, your relationship with your Keller Williams agent doesn’t need to end! After you buy, your agent can still help you – providing information on the real estate market, finding contractors and repair services, and even tracking your home’s current value. If you’re new to homeownership, you’ll definitely want to avoid these easy-to-prevent mistakes that could cost you big time. We know so well the thrill of owning your own house — but don’t let the excitement cause you to overlook the basics. We’ve gathered up a half dozen classic boo-boos new homeowners often commit — and give you some insight on why each is critically important to avoid. 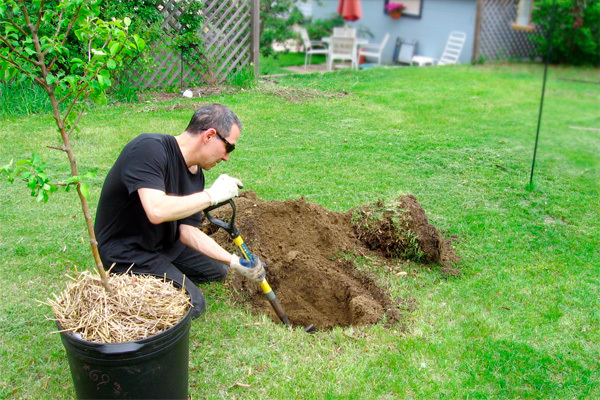 Plus, trees help preserve property values and provide shade that cuts energy bills. So think twice before going all Paul Bunyan. > Is your property priced in relation to other offers in your area? > What type of neighborhood is your property located in – well-established, up-and-coming, transitional? > Is your property located in an urban or rural area? > Keep the grass cut and yard clutter to a minimum. > Apply fresh paint to any wooden fences and your front door. > Clean windows inside and out. > Wash or paint your home’s exterior. > Ensure gutters and other exterior fashions are firmly attached. > Clean or paint walls and ceilings. > Clean all flooring and fixtures – lights, fans. > Repair all plumbing leaks. > Remove excessive wall hangings, furniture and extra personal goods. > Turn on all lights and open the drapes during the daytime. > Play quiet background music and infuse your home with a comforting scent. > Vacate the property when and if it’s being show to prospective buyers. Interest in mortgage loans are tax-deductible. Investors can lower their tax liability while increasing their equity. Renters pay down your mortgage loan. Investors reap the benefits of rental income, which offsets your mortgage cost and build equity. Real Estate values increase over the long term. Real Estate is limited and will always be in demand. 1031 exchanges are available to defer taxable income when you are ready to sell. Many investors are taking advantage of these great market conditions. Have questions? Give us a call. We are happy to help!